Preventative dentistry focuses on procedures and practices to help people prevent the beginning or progression of diseases of the teeth and gums. By identifying the disease in the early stages treatment can stop their progression and help maintain healthy teeth and gums avoiding more extensive treatment, less pain and expense. Regular examinations and hygiene appointments allow us to carefully monitor a patients oral condition and identify and treat any adverse condition at an early stage before it becomes a more substantial problem. It is strongly recommended that you obtain a specially fitted mouth guard if you play any form of sport that may result in injury to your teeth. Our dental team can assist with the correct fitting of a mouthguard, now available in colours of your choice. Bruxism is the clenching together of teeth causing pressure on the muscles, tissues and surrounding areas of the jaw. Symptoms referred to as ‘TMJ’ range from jaw joint disorders, headaches, neck pain, jaw pain, tense muscles and excessive wear on teeth. Bruxism can also cause damage to the tempermandibular joint (the hinge that connects the lower jaw to the upper jaw). 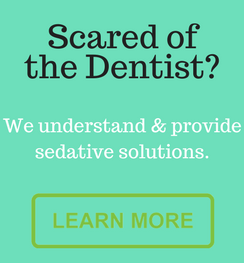 Stress reduction and anxiety management are methods used to treat bruxism and reduce the symptoms, however a dental night guard is the most commonly used treatment. A night guard or retainer can be fitted by one of our dentists and is an inexpensive method to relieve symptoms and protect your teeth and jaws from damaging effects. When properly made it can help reduce clenching, grinding and TMJ problems by helping to relax the muscles in the jaw. This is a sleep disorder characterised by abnormal pauses or periods of low breathing during sleep. Common symptoms include loud snoring and feeling tired even after a long night’s sleep. The symptoms can have potentially serious consequences, increasing the risk of heart attack, stroke and high blood pressure. Oral appliance therapy can be an excellent sleep apnea treatment option for those who have obstructive sleep apnea (OSA). An appliance, like an athletic mouthguard, is worn during the night to keep soft tissues from collapsing and interrupting normal breathing patterns.